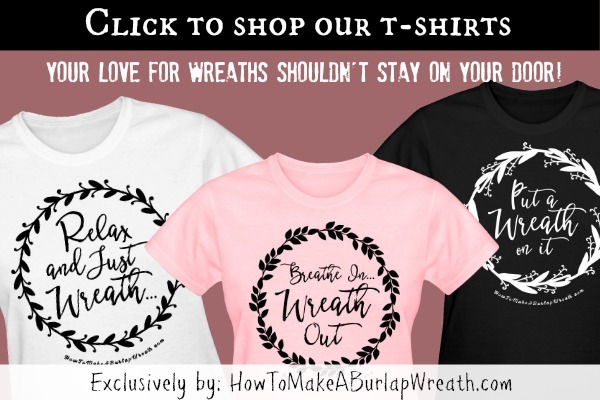 Do you have your Christmas wreath ready for the season yet? Christmas is on its way, and all the DIY craft lovers are probably busy with planning how to make outdoor Christmas décor – large flocks of candy canes, snowmen, or huge Christmas trees. So, what’s your plan for the outdoor decoration to welcome Santa when he knocks on your door? 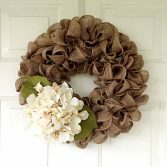 Well, you can go with a beautiful Christmas wreath that costs a fraction and can be made with the smallest of efforts. A festive Christmas wreath with a monogram letter. 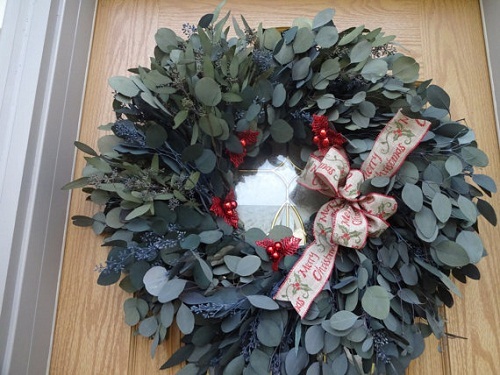 The following Christmas wreath uses greenery, stems of berries, a red silk ribbon (that screams Christmas! ), and a festive monogram. Check the video to see Martha Stewart’s take on a Monogram Christmas wreath. However, follow the tutorial for a different version, and to see how you can pull off simple Christmas wreaths before the big holiday! Link to Christmas Monogram Wreath tutorial video. Apply 2 to 3 coats of spray paint on the wooden letter. Let it dry or use a hairdryer to speed up the process. Use the foam brush to apply polka dots in Martha Stewart Satin Craft Paint. Keep aside. Take 3 to 4 pieces of almost 12-inch long greenery, tie them up together with floral wire at the stem, and tuck into the wreath. Make the second bunch and attach it to the wreath similarly with its stem covered under the head of the first bunch. 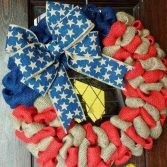 Keep filling up the wreath in the similar fashion until the entire wreath is covered. Use floral wire where needed to secure the greenery to the wreath base firmly. 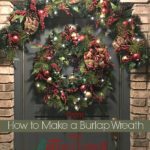 You can add extra one or two layers of greenery alongside the first one if you don’t want any part of the wreath to be visible. Arrange the berry stems throughout the wreath, and use floral wire at different points to secure them to the base. 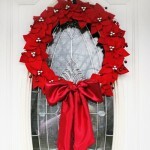 Make a bow with the red silk ribbon and attach to the wreath with hot glue. Tie the monogram to the opposite point of the bow with a piece of twine. 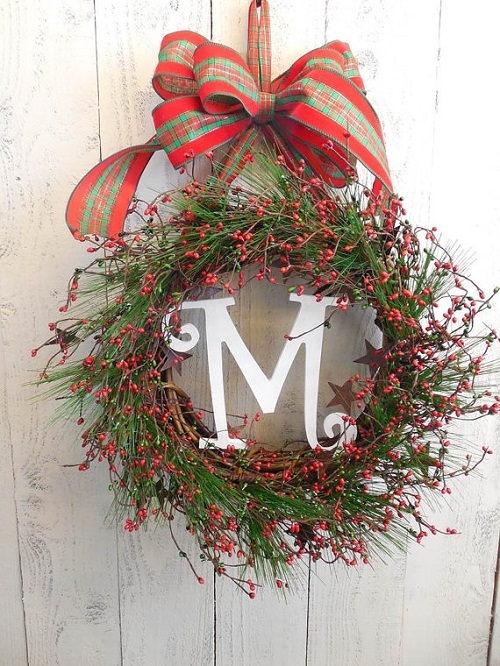 The polka-dotted monogram letter adds a personal touch and fun to your Christmas wreath. The bow and monogram on the opposite sides balance out each other while the greenery and colorful berries create a unifying look. 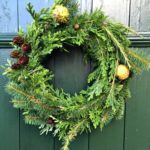 Need more Christmas Wreath Ideas? Get the holiday wreath tutorial here. 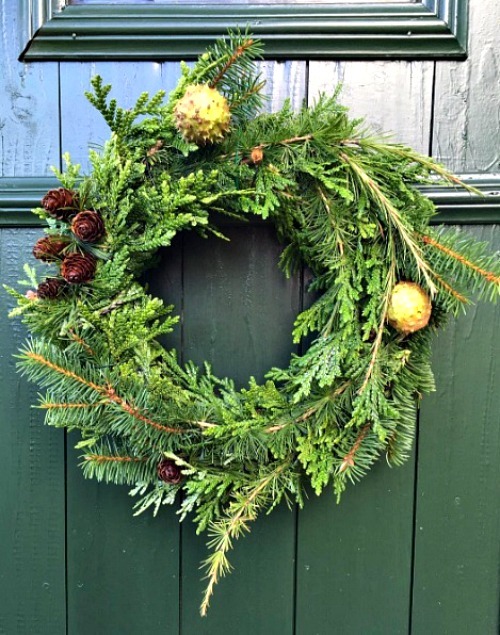 Get the holiday pine wreath tutorial here. 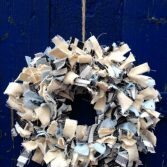 Making holiday wreaths is always fun, which is increased manifold if you can make them from everyday supplies. 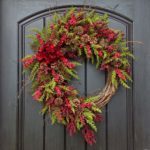 Woman’s Day presents a creative take on traditional holiday decoration with 40 modern DIY holiday wreath ideas, suitable for any festive occasion. 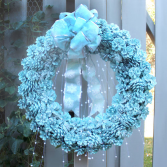 Visit our entire Christmas Wreaths category to beautify your holiday home.